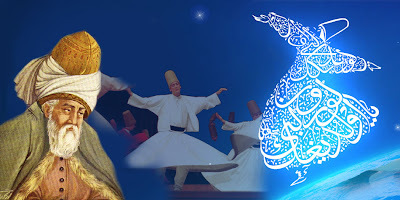 WHO IS RUMI ? - GÜLEFENDİM - [ EN SEVGİLİYE ] İman, Hakikat ve Huzur Yolu..! Jalāl ad-Dīn Muḥammad Balkhī (Persian: جلال‌الدین محمد بلخى), also known as Jalāl ad-Dīn Muḥammad Rūmī (Persian: جلال‌الدین محمد رومی) and popularly known as Mevlānā in Turkey and Mawlānā (Persian: مولانا) in Iran and Afghanistan but known to the English-speaking world simply as Rumi (30 September 1207 – 17 December 1273) was a 13th-century Persian Muslim poet, jurist, theologian, and Sufi mystic. Rūmī is a descriptive name meaning “Roman” since he lived most of his life in an area called “Rumi” (then under the control of Seljuq dynasty) because it was once ruled by the Eastern Roman Empire. He was one of the figures who flourished in the Sultanate of Rum. He was born in Balkh Province in Afghanistan. a small town located at the river Wakhsh in Persia (in what is now Tajikistan). Wakhsh belonged to the larger province of Balkh, and in the year Rumi was born, his father was an appointed scholar there. Both these cities were at the time included in the greater Persian cultural sphere of Khorasan, the easternmost province of Persia and was part of theKhwarezmian Empire. His birthplace and native language both indicate a Persian heritage. His father decided to migrate westwards due to quarrels between different dynasties in Khorasan, opposition to the Khwarizmid Shahs who were considered devious by Bahā ud-Dīn Walad (Rumi’s father),or fear of the impending Mongol cataclysm. Rumi’s family traveled west, first performing the Hajj and eventually settling in the Anatolian city Konya (capital of the Seljuk Sultanate of Rum, in present-day Turkey). This was where he lived most of his life, and here he composed one of the crowning glories of Persian literature which profoundly affected the culture of the area. He lived most of his life under the Sultanate of Rum, where he produced his works and died in 1273 AD. He was buried in Konya and his shrine became a place of pilgrimage. 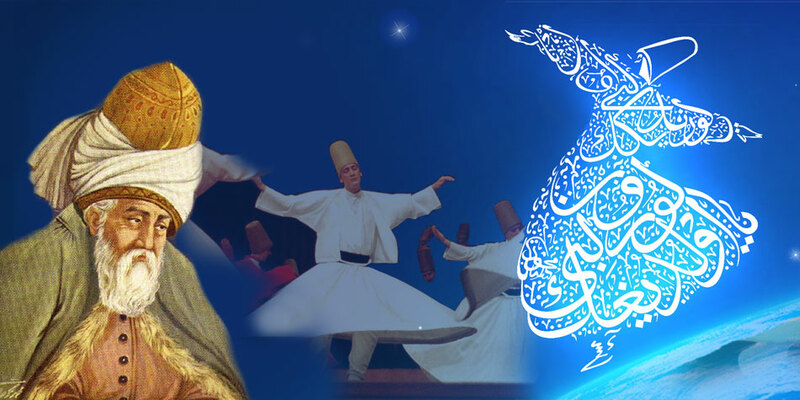 Following his death, his followers and his son Sultan Walad founded the Mevlevi Order, also known as the Order of the Whirling Dervishes, famous for its Sufi dance known as the Sama ceremony.